The test confirms Warren is whiter than sour cream. She has less Indian that most whites. Do democrats realize how they stupid look? ...attempting to claim this as a "victory"? She has no Cherokee whatsoever, and the trace of Indian she can claim comes from South America. Do democrats have the slightest clue how science works? 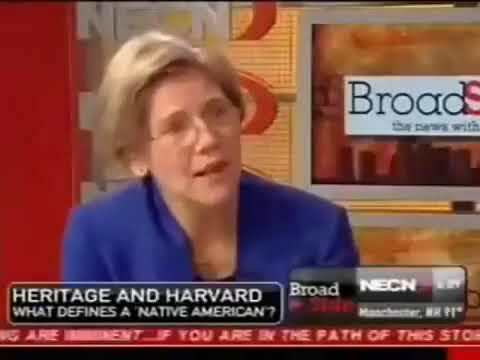 Warren might as well claim she is descended from Cleopatra; there might even better evidence of that claim than her being Native American. Democrats are too stupid to understand how stupid they look. The test doesn't prove conclusively whether its Cherokee or South America. All it proves is that she has some Native American ancestry -- which is what she claimed and Trump denied. Even if her test came back 100% Native American it wouldn't be cool for her to latch onto the life struggles of real Natives as her own. Unless one grows up in the depravation of a reserve, reliant on the terrible IHS for medical care and coping with the violence of such a place, one can't really claim to have have that life experience. Sort of why it ring hollow when privileged minorities take up the causes of things that don't really affect them. Ancestry isn't nearly as important as one's present socioeconomic conditions. Ooops. Screw up. And Warren Wants that $1 million contribution to a charity. Is she Kidding? One in over one thousand? Get real. Yeah he Did say it, but a one in over one thousand-and notice that it was Not the results-rather the Interpretation of an outside 'expert' that she is calling on? She is less American Indian that I am-and my heritage is German. Most white people have no Indian ancestry. It's a ridiculous thing to claim otherwise. Warren is obviously a white woman. I don't need a DNA test to tell me that. But she does have some evidence of native American ancestry, according to the test. So both of your sides win and both lose. The end. Well, you don't seem to have the slightest clue about how math works. Maybe you shouldn't call people stupid given that, but regardless of your inability to comprehend averages, the only reason this is an issue is because the President has made it one. You can't really fault her for getting a DNA test done when she was essentially goaded into it by our childish President. The test doesn't confirm one way or the other "how Native American" she is or where on the continent her Native American DNA originated, it's just an estimation. So yeah, I think Democrats realize how stupid they look, but obviously you do not. Ignorance is bliss. There is a trillion dollar deficit, the president is a traitor and his son in law is neck deep in Saudi blood money. Progressives have better things to worry about than who has what blood in them (a conservative obsession). This is what the conservative media is obsessed with this week and it is a completely pointless, ridiculous distraction issue. (And one more occasion for Trump to attack a woman and his armies of mindless minions to cheer. Also, Stormy Daniels is a horseface. Yuk! Yuk!). "She has no Cherokee whatsoever" A DNA test can not determine tribal ancestry. "She has less Indian that most whites." Perhaps you can show some actual facts that support your claim. It is a victory because the DNA test confirmed the only claim she made; she claimed that a 6th generation ancestor was Native American. The DNA test confirmed that was the case. She made a claim and the claim was proven to be true. That is how logic works. Ever heard of being trans racial? Saddam was a fascist and arab socialism is extreme right wing for jeeper?